Thank goodness we live in modern times! The history of dentistry was definitely filled with painful practices! Read on to find out more. Thanks for visiting us at Shoreline Endodontics of Groton, CT.
Brushing your teeth after every meal, visiting the dentist for cleanings, and having a relatively painless mouth is not just desired but expected in the year 2014. However, that was not always the case. Dentistry has come a long way since its inception and is often overlooked for other scientific advancements. The earliest history of treating tooth related problems goes all the way back to 7000 BC, where the Indus Valley Civilization shows evidence of treating the mouth for tooth decay. The first method of treatment was bow drills, which were ancient primitive tools used for woodworking and treating tooth problems. Moving forward into 5000 BC, the Sumerians blamed tooth worms as the cause of any dental issues, with the worms boring little holes in your teeth and hiding out inside. (Reportedly some ancient doctors even mistook nerves as tooth worms and tried to yank them out. Ouch!) The idea that a worm traveled through your mouth and was the cause of dental pain lasted until it was proven false in the 1700s. (Yes, you read that right, the 1700s). In ancient Greece, Hippocrates and Aristotle wrote about treating decayed teeth as well as having teeth extracted to keep mouth pain away. The concept of having a tooth extracted from the mouth through using forceps was often used to treat many diseases into the middle ages. Interestingly enough, the professionals who were doing these extractions during the middle ages were not medical authorities, but barbers. These partially trained hair cutters began using a “Dental Pelican” in the 14th century and then a “Dental Key” to extract teeth from their patients’ mouths. Both of these tools were similar to and the precursor to modern day forceps. 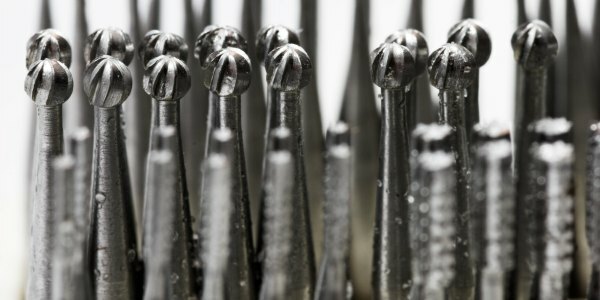 These barbers were not full time dentists, but in fact, their work was focused solely on removing any infected teeth for alleviating pain purposes, not preventive care. It was between 1650 and 1800 that the concepts behind what we now think of as dentistry got its start. The man behind the science was 17th century French Physician, Pierre Fauchard. He is called “The Father of Modern Dentistry”, and he was the brains behind many of the procedures still used in today’s society. For instance, he was the man behind the thought process for dental fillings, and he also helped to explain that acids from sugar are a major source of tooth decay. From here, the rest is history. In 1840, the first dental college was opened, called the Baltimore College of Dental Surgery. This led to more government oversight, and eventually regulation through the American Dental Association (ADA).